Check out Apple Box Studios latest video production project – “Henry Brings Business to Tampa Bay”. 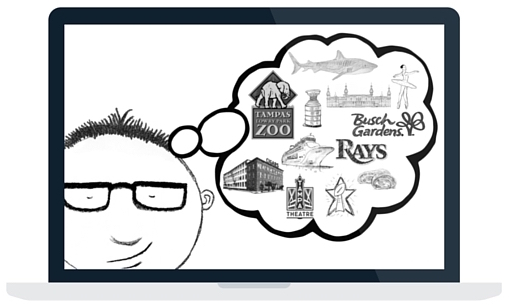 Apple Box was able to quickly and cost effectively produce this membership video for Visit Tampa Bay. Barney is at it again! He’s sending his relatives all over this crazy country. Meet Henry, Barney’s cousin. He’s a business man from Dallas looking for a cool city to host his next convention. Click the image below to watch Henry’s adventure in Tampa Bay.